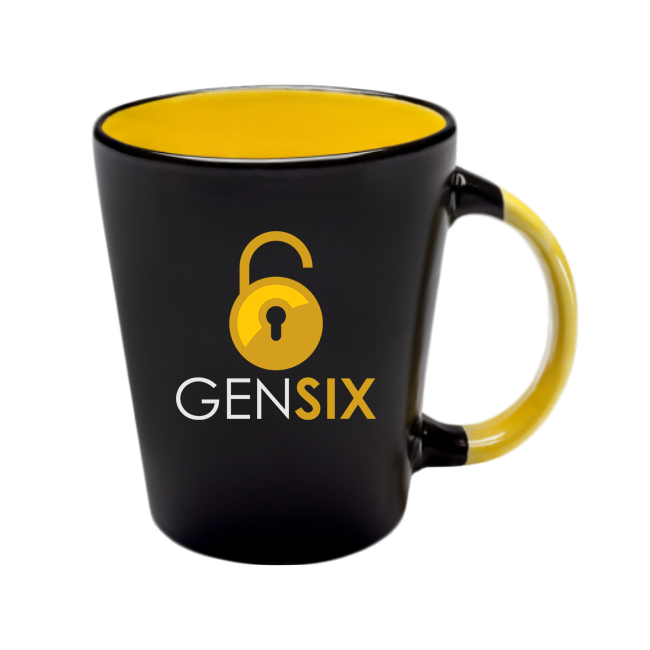 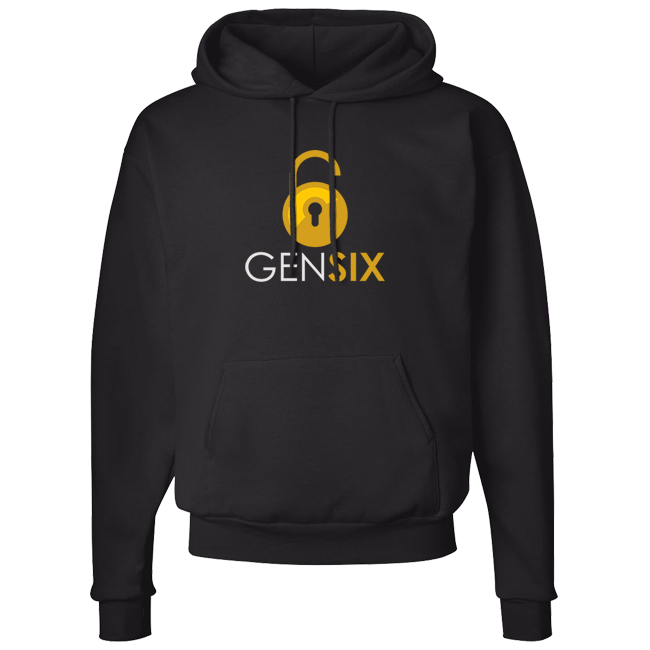 Black unisex hoodie with the GenSix logo printed on front. 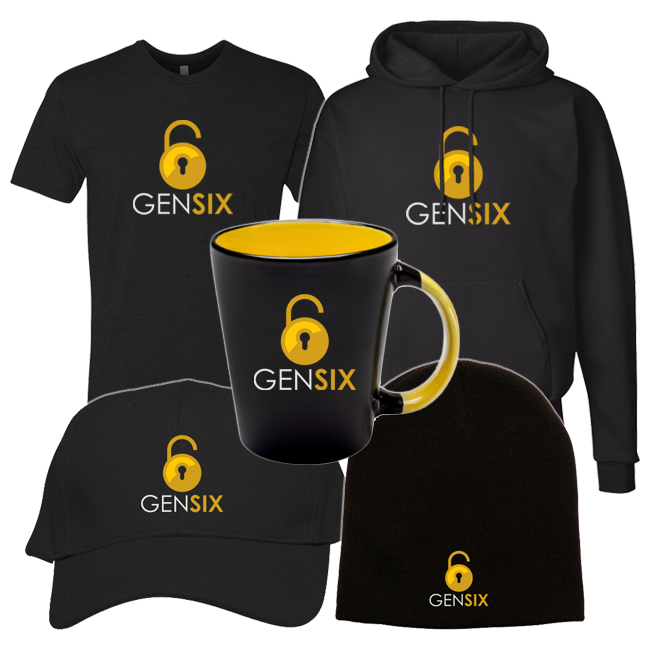 Stay warm this winter in our comfort blend GenSix Hoodie. 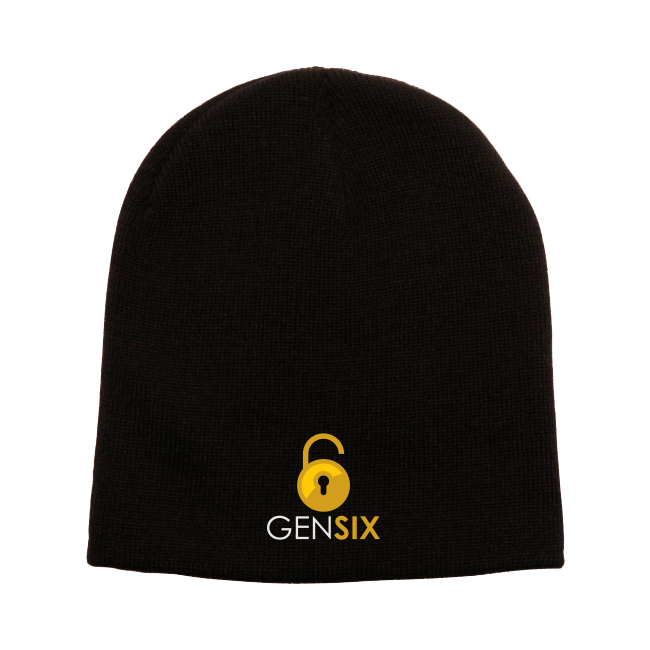 Crafted from a cotton and polyester low-pill Air Jet Spun Yarn blend with with the GedSix logo printed prominently on the front, these hoodies are exceptionally comfortable, warm and durable.